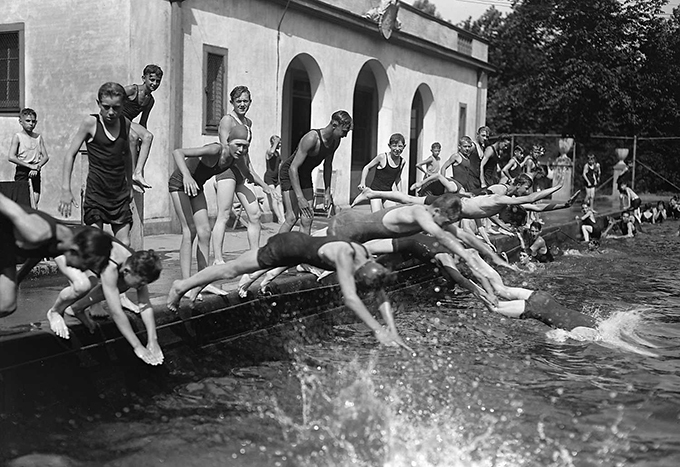 A view of the opening of the Schenley Park Swimming Pool, showing people diving into the pool. Schenley Park (Pittsburgh, Pa.); Parks--Pennsylvania--Pittsburgh. ; Swimming Pools--Pennsylvania--Pittsburgh. ; Diving--Pennsylvania--Pittsburgh.